London’s Apex Zero releases his new album “Reality Provoking Liberation” on 28th October. 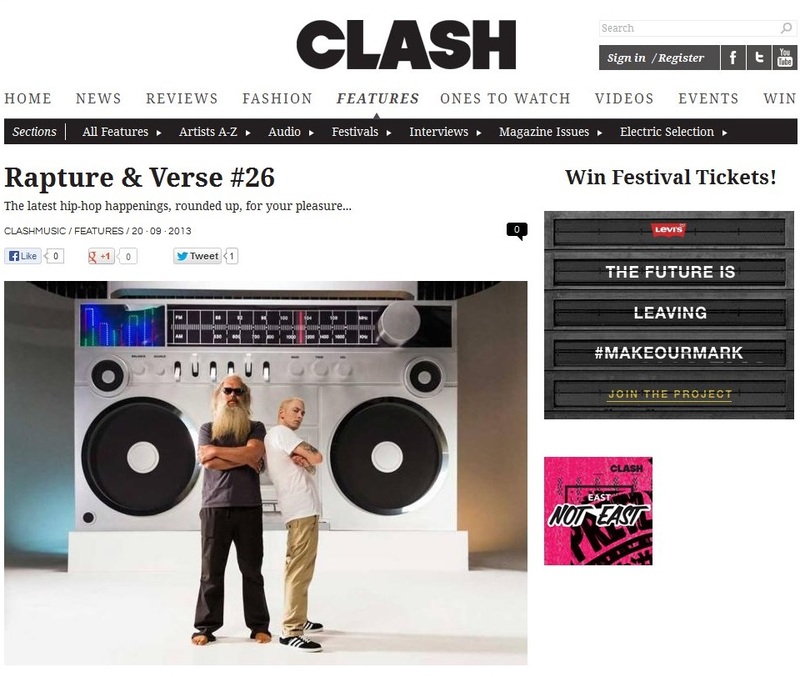 The UK’s national multi genre music publication Clash Magazine includes a monthly Rapture & Verse column written by Matt Oliver. It’s a snapshot of the key news & releases over the past 4 weeks, and this month’s edition includes the Kendrick verse on Big Sean’s Control, the new Eminem Album produced by Dre & Rick Rubin, news on Doom, Madlib, Bishop Nehru, Black Milk, Dr Zygote, Jehst, Blaq Poet, Pusha-T, Akir, J-Zone, The Dopplegangaz, Abstract Butta Fingas and a lot more.